In a way, it’s similar, but at the same time, it’s also very different. It is The Vigil (Concord Jazz, 2013) by Chick Corea. The title is also the name of the legendary composer and keyboardist’s new group. The ensemble consists of Corea, piano, synthesizers; Tim Garland, tenor and soprano saxophones, bass clarinet, flute; Charles Altura, electric and acoustic guitars; Hadrien Feraud, bass; and Marcus Gilmore, drums. 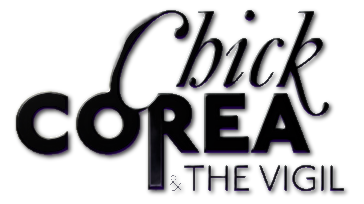 Additional players who appear on selected tracks are percussionist Pernell Saturnino, vocalist Gayle Moran Corea (Chick’s wife and vocalist for Mahavinshu Orchestra), bassist Stanley Clarke and saxophonist Ravi Coltrane. “The stars are your playthings forever” is the note on the opening track, “Galaxy 32 Star 4.” Working with the core group, Corea sounds like he always has: interesting, innovative and engaging. The constant with Corea throughout his career has been his writing. Whether an acoustic piano or an electronic keyboard, you can almost distinguish his music by the way the notes are arranged. That matters here because “Galaxy 32 Star 4” sounds a little bit like Chick Corea circa 1980, Chick Corea Elektric Band and Chick Corea Elektric Band II. Even Feraud’s solo is reminiscent of Elektric band alum John Patitucci. However, Garland’s soprano sax is in a different world from Eric Marienthal’s style. And Gilmore’s drumming is clearly his own. Another difference is the Elektric Band songs were generally four to seven minutes. Galaxy at 8:20 is the second shortest track in this set of seven. Gayle Moran Corea sings lead on the one vocal song, “Outside of Space.” Clarke and Coltrane assist on the live performance of “Prayer for Peace,” a tribute to the saxophonist’s father, John Coltrane. Corea is a National Endowment for the Arts Jazz Master, 20-time Grammy winner and prolific composer and performer whose career has spanned more than four decades. In addition to his own bands, he has worked with many jazz heavyweights, including Maynard Ferguson (“The Cheshire Cat Walk” from Primal Scream) and Bela Fleck among many others. He is credited with discovering pianist Hiromi Uehara. And Corea’s songwriting has influenced many young musicians, including Lenny White prodigy Beka Gochiashvili and students of the Colorado Conservatory for the Jazz Arts. 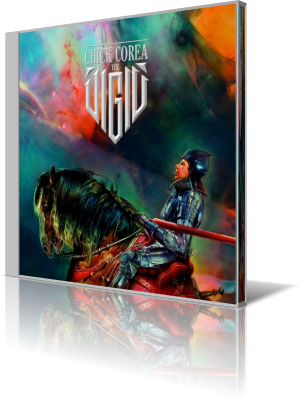 The cover of The Vigil has a painted image of Corea, dressed as a night and riding a horse. But the album’s overall theme is interplanetary travel and exploration – sort of a Starship Enterprise for jazz.